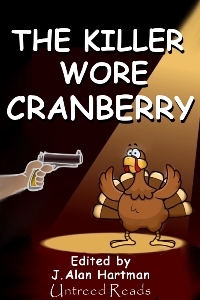 This anthology will be edited by J. Alan Hartman, Editor-in-Chief of Untreed Reads and the editor of the bestselling anthologies The Killer Wore Cranberry, The Killer Wore Cranberry: A Second Helping and Year’s End. 2. Deadline for submission for consideration is May 30, 2013. This is a firm date; no submissions after this date will be considered. Just a heads-up that there is a typo in this. Of course, the deadline is May 30th, 2013..not 2012. Sorry about that!